In December, TIFF programmers released their annual list of the films selected as the ten best Canadian films of 2014. The selected films received a followup screening at the TIFF Bell Lightbox as a "Canada's Top Ten" minifestival in January 2015. ↑ "Toronto International Film Festival". TIFF. Retrieved 19 April 2014. ↑ "Toronto Sets Robert Downey Jr's 'The Judge' As Opening-Night Film". Deadline. Retrieved 26 July 2014. ↑ "Toronto Film Festival Lineup Includes Denzel Washington's 'Equalizer,' Kate Winslet's 'A Little Chaos'". Variety. Retrieved 22 July 2014. ↑ "TIFF Adds 'Clouds of Sils Maria' and 'Two Days, One Night,' Reveals 5 More Lineups". Indiewire. Retrieved 12 August 2014. 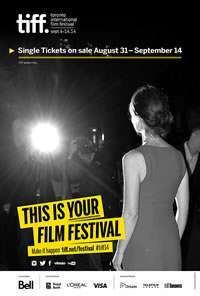 ↑ "Toronto Film Festival Completes Lineup". Variety. Retrieved 20 August 2014. ↑ "Bill Murray mints fresh Toronto film festival 2014 lineup with St Vincent". The Guardian. Retrieved 20 August 2014. ↑ "Toronto Film Festival 2014 holds Bill Murray Day". BBC News. Retrieved 7 September 2014. ↑ "‘The Imitation Game’ Wins Toronto Audience Award". The Wrap, 14 September 2014. ↑ "Imitation Game wins Toronto top prize". BBC News, 14 September 2014. 1 2 Wolfe, Jennifer (7 August 2014). "Seven NFB Films to Screen at TIFF 2014". Animation World Network. Retrieved 8 August 2014. ↑ Walker, Connie (6 August 2014). "Alanis Obomsawin's Trick or Treaty? to screen at TIFF 2014". CBC News. Toronto. Retrieved 6 August 2014. ↑ Cipriani, Casey (6 August 2014). "Toronto International Film Festival Reveals Slate of Canadian Features and Short Films". Indiewire. Retrieved 10 August 2014. 1 2 "TIFF announces its top 10 Canadian films of 2014". CBC News, December 2, 2014. Wikimedia Commons has media related to 2014 Toronto International Film Festival.